What would you do if you discovered a leopard prowling around your backyard late one night? A couple living near Indiana’s State Road 3 were unnerved at the amount of neighbor dogs and cats that have been attacked or simply disappeared recently, so they started to take evening shifts on their roof to survey their property for what they thought was an opportunistic bobcat preying on local pets. When the woman noticed something pacing near her swimming pool, her boyfriend shot the creature, only to discover that it was a young leopard. 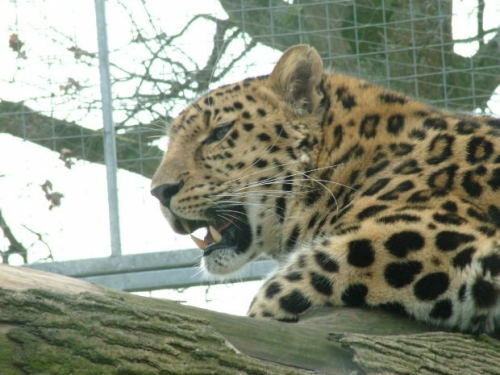 The leopard is approximately nine months old, and was likely an exotic pet that either escaped its enclosure, or was purposely abandoned by its owner. Big cats, such as tigers, jaguars and leopards, are illegal to own in the state of Indiana without a permit. Unfortunately, no one knows where the animal came from, but investigators are looking into it. 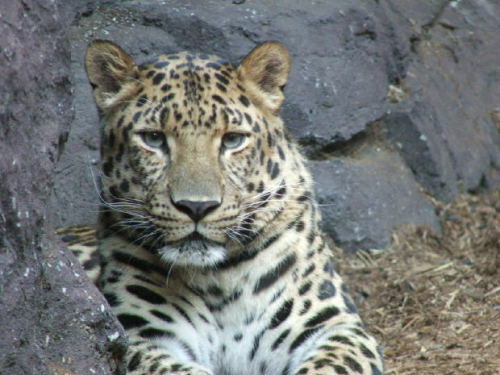 Leopards are most commonly found in Africa, but endangered populations exist in India, China and Central Asia as well. These large feline predators are famous for using their awesome strength of pull their prey into trees so they can feast without worrying about hyenas, lions and other carnivores attempting to bully their way to a free meal. Their diet includes antelopes, deer, pigs, monkeys and a range of other animals. The leopard’s spotted coat helps to camouflage the predator’s nocturnal hunts. While leopards generally avoid people, there are incidents where desperate leopards have hunted domestic dogs and the occasional human as prey.